One of Google’s famous self-driving cars has reportedly been involved in one of its first traffic accidents. The accident occurred near Google’s Mountain View headquarters in California. According to a report fromJalopnik, the accident involved two Toyota Priuses. 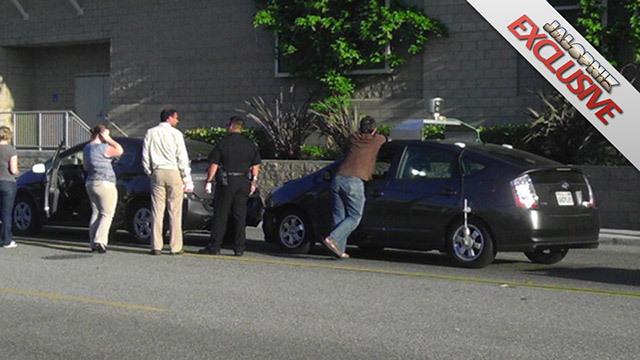 It looks like the Google self-driving car rear-ended the other Prius, at least from our initial assessment of a photo Jalopnik published. We’ve reached out to Google for comment. While this is not the first accident the Google cars have been involved in (one of the cars was rear-ended by a driver), it’s the first time we’ve heard of a Google self-driving car being the cause of an accident. Google’s self-driving cars have been on the roads for nearly a year now, mostly in California. Recently, the search giant successfully lobbied to get self-driving cars on the streets of Nevada. We’ve even been in the back of one of the vehicles, and we can attest that they can successfully maneuver through dozens of cones at speeds up to 40 miles per hour. While Jalopnik believes that the fender-bender is proof that self-driving cars may not be in the best interests of society, we have a different take. There were 10.2 million traffic accidents in the U.S. in 2008, which results in 39,000 deaths. That’s 17.9 people per 100,000 licensed drivers. If Google self-driving cars can beat those statistics, they could actually prevent more accidents than they create. We also waste millions of hours commuting and driving through traffic; imagine if you had that time to be productive instead. Clearly Google self-driving cars are not ready for prime time — nobody thinks they will be for years to come. However, it’s not inconceivable that the time sink that is driving will become a thing of the past, and that would be a good thing for all of society. What do you think of Google’s self-driving cars? Are they a potential benefit to society or a disaster waiting to happen? Let us know in the comments.